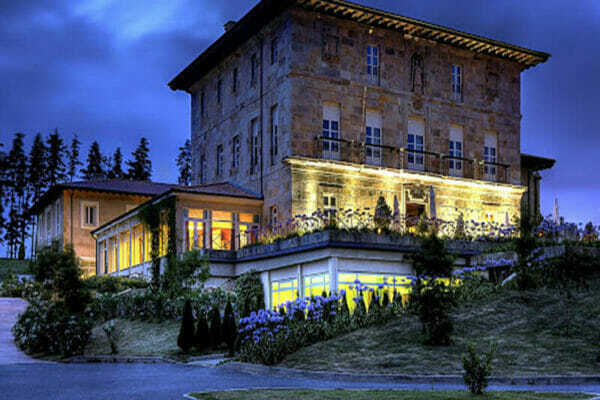 Pais Vasco is a lush region in the north of Spain known for its world class gastronomy. This is an itinerary all about immersing in Basque culture, food & cycling. Our Tour of the Basque Country is designed for ‘Intermediate’ and ‘Advanced’ riders with optional extensions for riders who want to challenge themselves further, as well as options to shorten the rides for those who need to. To best enjoy the tour riders should be comfortable riding 100 kms. The terrain is rolling and, whilst there are no extended climbs, it is notoriously tough. Training for the tour is recommended. 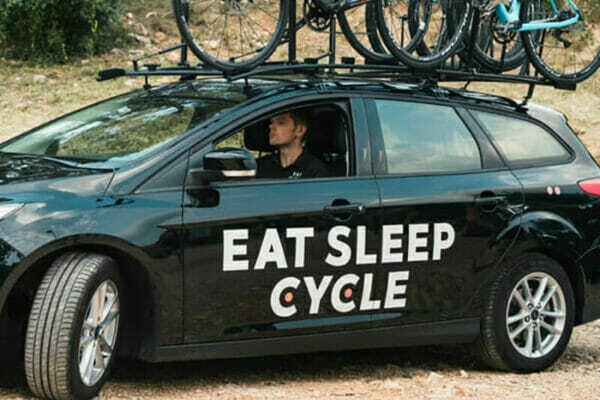 The ride is fully-supported by an Eat Sleep Cycle staff crew, guiding you on the road and in an Eat Sleep Cycle vehicle. Our support staff are experienced professionals from all walks of life united by a love of cycling. 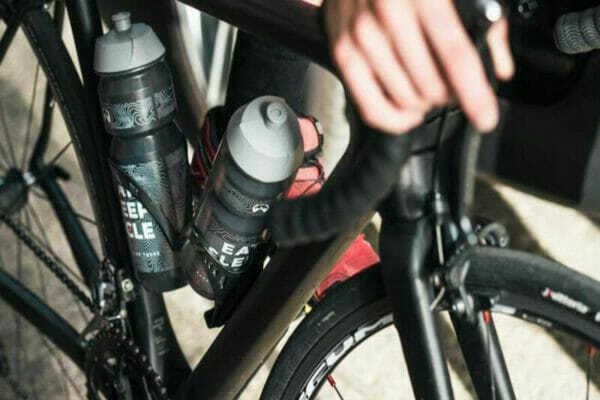 They’ll take care of everything; keeping you and your bike in tip top condition throughout the tour. All you have to do is Eat, Sleep, Cycle. 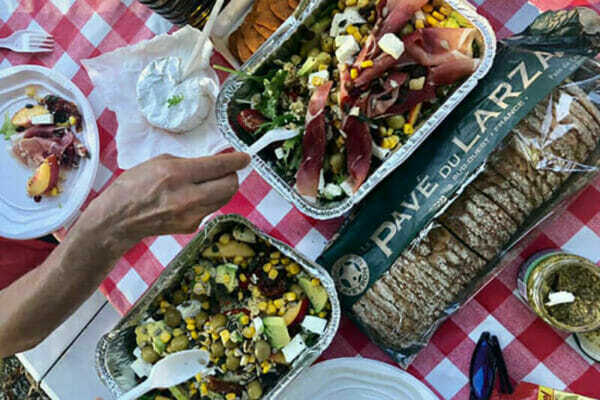 Breakfast, lunch and 4 evening meals are included on the tour and we work with the restaurants to ensure it’s exactly what you need to keep you fueled on the road. Enjoy a breakfast buffet at the hotel each morning. Lunch is a roadside picnic served by the support crew. In between meals stay energised with ride nutrition – fresh fruit, nuts, energy bars etc. Dinner in the evening is a chance to indulge in and savour Basque Cuisine. There are 4 evening meals included in the tour at our hotel and our favourite restaurants in Bilbao & San Sebastian. On the other two evenings guests are free to explore each city – we can recommend some perfect places to soak up the culture. We’ve hand-picked the best 4* hotels in the region, each with a unique identity, exemplary service & attention to detail. 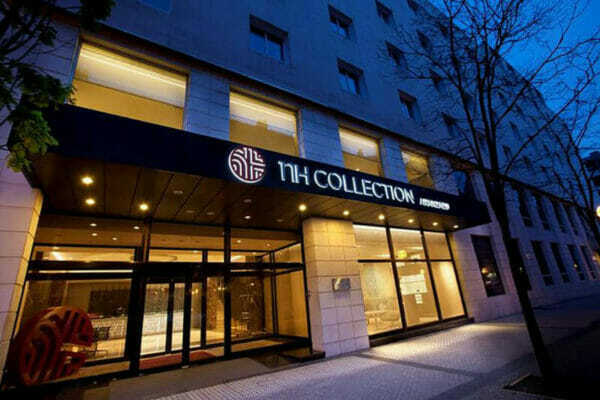 Stay in the modern NH collection hotel in San Sebastian, and in Palacio Urgioti in the countryside surrounding Bilbao. Meet point: Meet at San Sebastian train station on Day 1 of the tour at 12 noon or make your own way to the hotel to meet at 13:00. Departure: Guests will be transferred to Bilbao Airport for 12 noon on the last day of the tour. Very helpful shop that we discovered almost by accident. They will be arranging my next trip in October 2017. I loved traveling with ESC and would book another trip with them - for sure! The emphasis was about having fun and achieving our goals as a group. The guides were safe, easy to get to know and encouraging throughout the rides. The support was amazing! We had plenty of food, snacks and drinks along the ride and Lee and his team were totally accommodating to riders of all levels. The hotels were great and meals excellent. Our Trans Cantabria itinerary follows the Tour of the Basque country from the 3rd – 9th August 2019. Ride across the spectacular Picos de Europa.